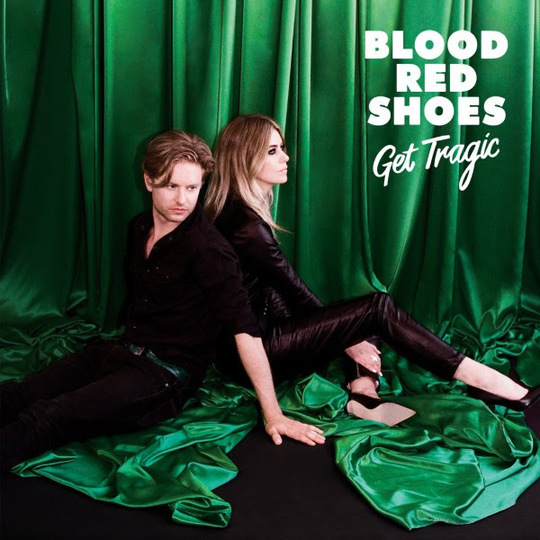 Get Tragic, the fifth album from the duo Blood Red Shoes, is a creation born out of a rift between the band that led to a temporary split. ‘Eye to Eye’ offers a sultry welcome and opens the record up into a tremor between peaks and valleys. The songs alternate from exposing struggles, like in ‘Anxiety’ where Steven Ansell sings “I could take a chance but it terrifies me”, to the band’s characteristic use of gritty guitars and Laura-May Carter’s piercing voice that proves they bite back. The impact of Ansell’s voice falls short against the fierceness of Carter’s and in songs such as ‘Bangsar’, it feels hollow and gets lost in the moodiness of the track. Despite this, it recovers in ‘Find My Own Remorse’ and parallels its feeling of stark isolation. Many tracks have a newfound electronic feel and in ‘Howl’ this works best, offering a catchy and warped sound that stands out in the album. Overall, the tracks journey through intense remorse, seduction, and conflict with a reply that takes the form of a brave use of synths amongst the usual heaviness that could only be from Blood Red Shoes.